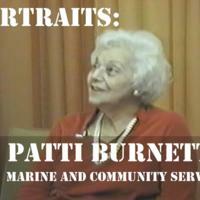 Patti Burnette recalls her life in the military during and after the Second World War. Details the daily routines, uniforms, and responsibilities of women in the Marine Corps. Patti served as the Legion Commander of the Wayne G Austin American Legion Post, City Treasurer, and community organizer of Proud to be an American Day and Chisholm Trail Festival. Newton Public Library, Newton Kansas, “Patti Burnette Interview,” Digital Newton, Kansas, accessed April 22, 2019, https://newton.digitalsckls.info/item/9022.